A rare Saturday post today! I really never post on the weekends. Because of everything going on with IVF I missed a post yesterday so I was feeling a little behind and wanted to get one up today! These are my absolute favorite boyfriend jeans ever! I love that they are really destroyed and I love how they fit. Boyfriend jeans can be tricky but these are so flattering. I have been wearing them almost everyday because they are so comfortable and easy to through on and feel cute. Just a quick update on whats been going on with me. I am done with the stimulation, Thank god! I am having some complications because the stimulation process made my estrogen go really really high. So we are waiting to see what are next step is. This has been the hardest thing my husband and I have ever done. It is emotionally draining and so stressful. I had to go to the doctor every day during stimulation and it was just exhausting. Needless to say we need a vacation now more then ever! a holiday and get away! Gorgeous look! The color of that top is divine! Good luck with everything you have going on, I hope you get the much needed relaxation you deserve this weekend! I love this outfit! And your necklace is gorgeous. Good luck with everything! Gorgeous top and sunglasses! You look great! So pretty. Hope you have a relaxing weekend! 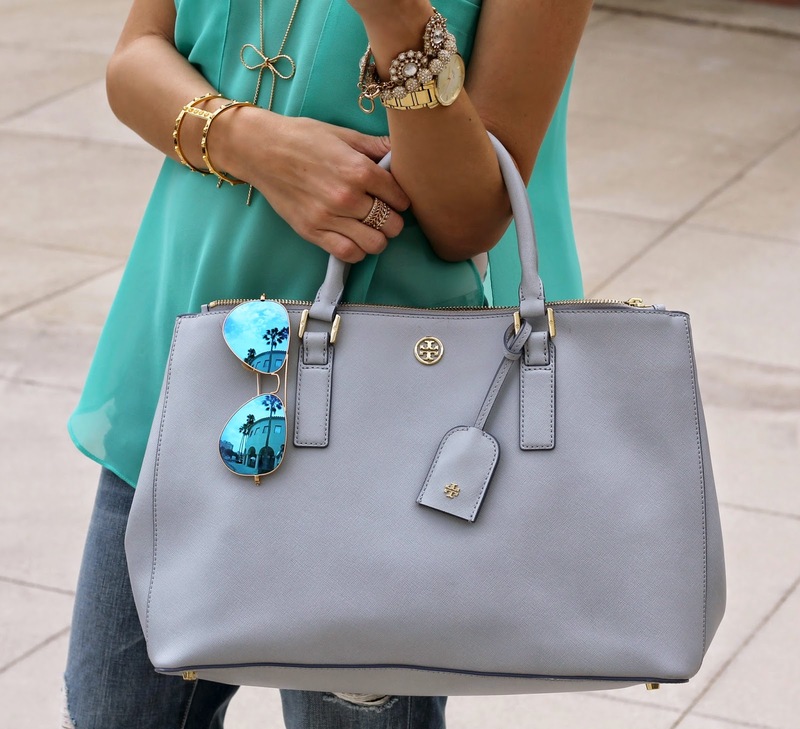 Those jeans are perfect and your bag is gorgeous! Ahh I absolutely love the way you styled these jeans- I want a pair of boyfriend jeans so badly they are so cute! Ohhh these t-shirt is really coool!!! Amazing colour! Ah sweetie, keeping everything crossed for you both! Hoping that everything goes as planned and wishing you best of luck. Cute outfit! Those boyfriend jeans look great on you! & Hope everything goes well! Thanks for sharing!